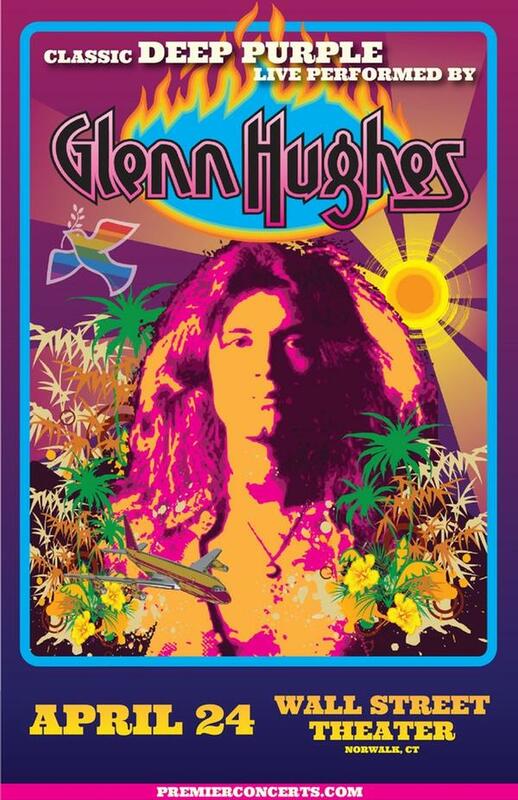 Glenn Hughes, former bassist and singer of Deep Purple, known to millions as the ‘Voice of Rock’, Rock and Roll Hall of Fame inductee, and the current front man for rock super group Black Country Communion is pleased to announce that he will be performing Deep Purple only material with his “GLENN HUGHES PERFORMS CLASSIC DEEP PURPLE LIVE” nationwide US tour in August-Sept. 2018. The tour promises to be dynamic, a turn-back-the-clocks, two-hour live extravaganza homage to his tenure in MK 3 and MK 4 incarnations of Deep Purple - one of music history’s most seminal and influential rock and roll groups. All tour dates will be announced shortly. With a Facebook following of a quarter million fans As well as Glenn on lead vocals and bass guitar, the touring band also features Soren Anderson (guitar), Jesper Bo Hansen (keyboards) and Fernando Escobedo (drums) Deep Purple took a quantum leap when the then 20-year-old Glenn Hughes was seconded from British funk-rock outfit Trapeze in mid-1973. As bassist and co-vocalist (with David Coverdale), he helped steer the legendary rock group in the progressive direction of Burn (1974), Stormbringer (1974) and Come Taste the Band (1975), while touring the world for three years.